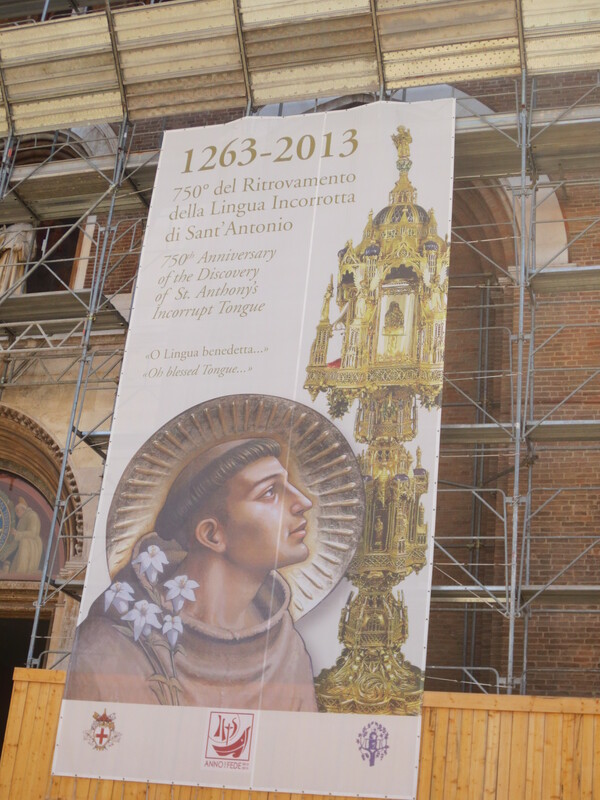 Every year on June 13th in Padua, there is a massive celebration for the Feast Day of Saint Anthony; the Patron Saint of Padua. 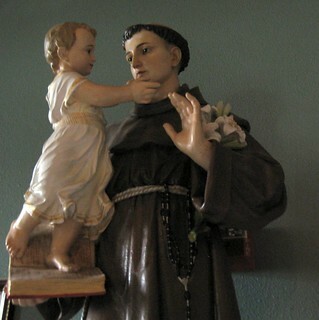 Franciscan, Saint Anthony was born in Lisbon Portuagal in 1195 but he died in Padua. 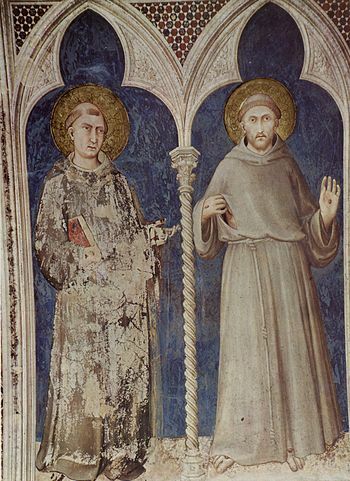 He is the most celebrated followers of St. Francis of Assisi and is usually shown holding baby Jesus. 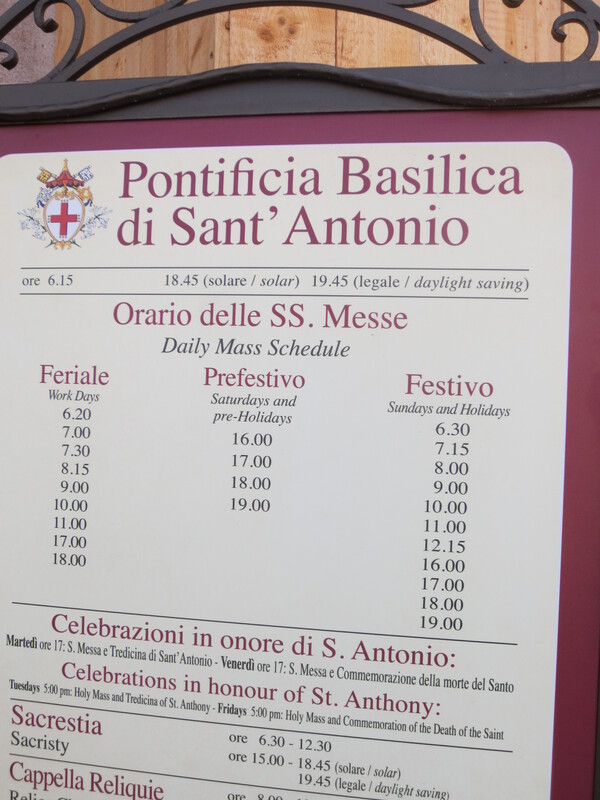 He is one of the most adored saints in Italy. 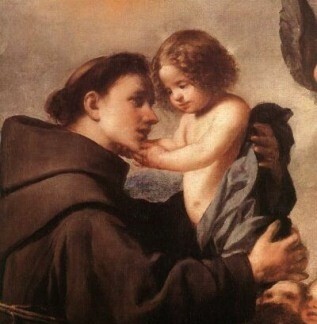 I even named my son after him. 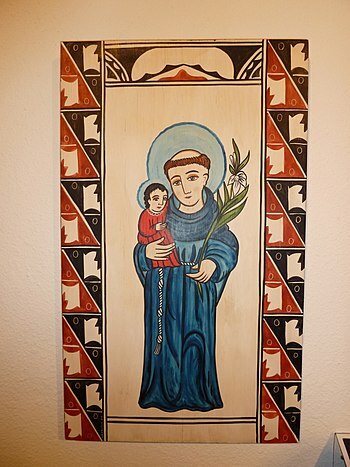 Most of the Catholics I know pray to him if something is lost. 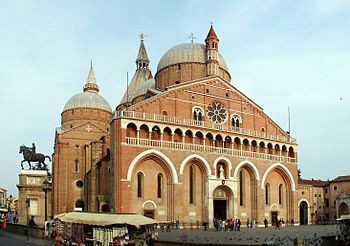 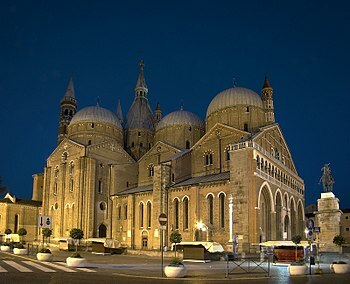 The basilica of Saint Anthony, designed by Nicola Pisano in Padua, was completed in 1231. 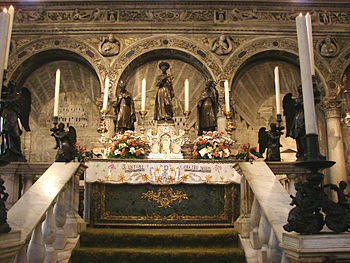 His bones and tongue are preserved inside a special chapel with magfiicent statuary by Sansovino and Falconetto. 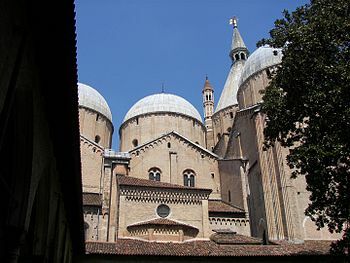 The basilica has many cupolas and spires on the roofline. 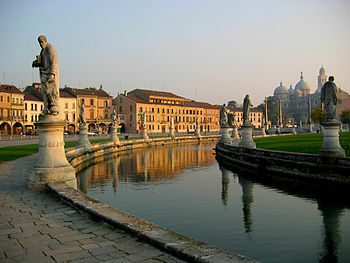 In the piazza in front of the Basilica, there is an equestrian statue of the Venetian general Gattamelata. 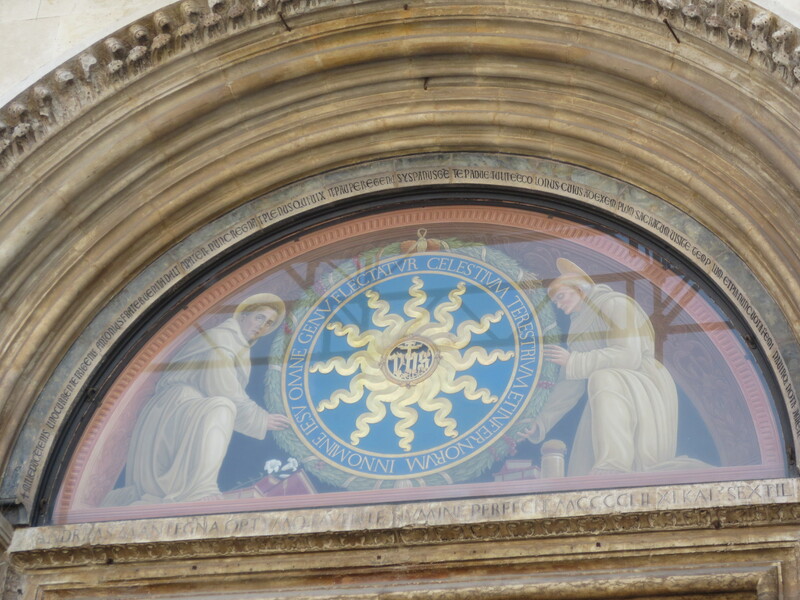 It was cast in 1453 by Donatello. 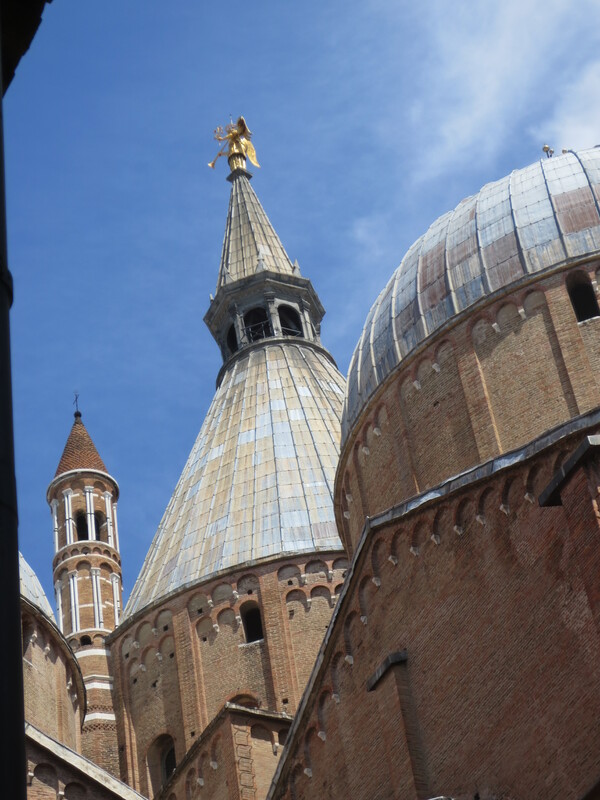 Near the statue, visit the 13th century St. George Oratory and the 16th century Scuola di S. Antonio with frescoes by Titian. 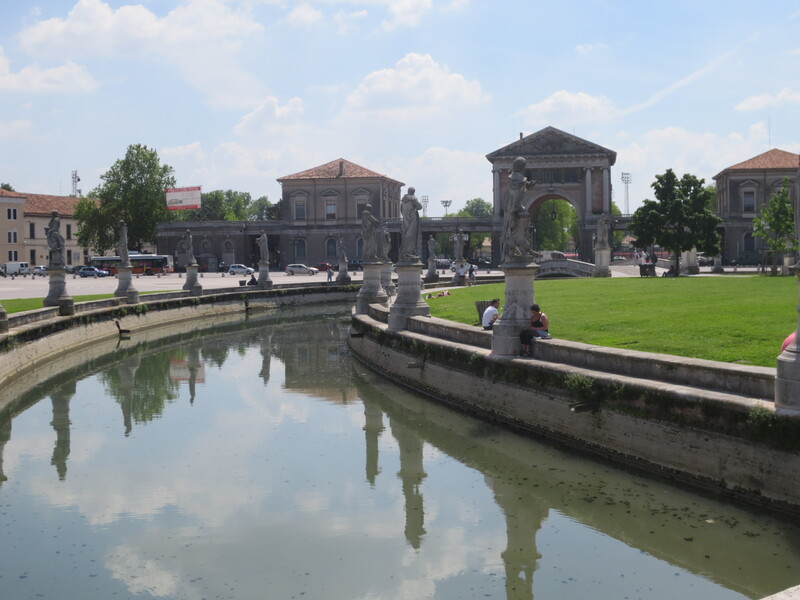 I love the Prato della Valle, a fabulous elliptical square with 78 statues of famous citizens. 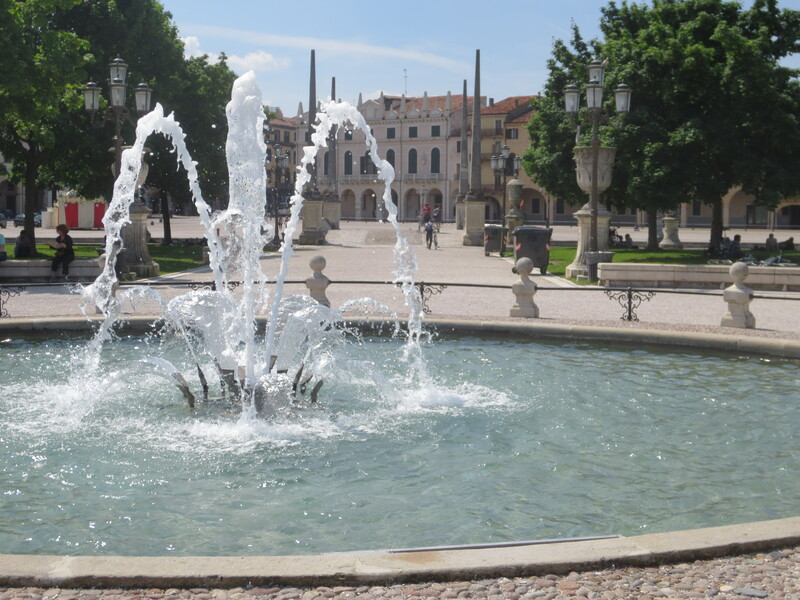 The statues are displayed in two rings: an outer ring and an inner ring. 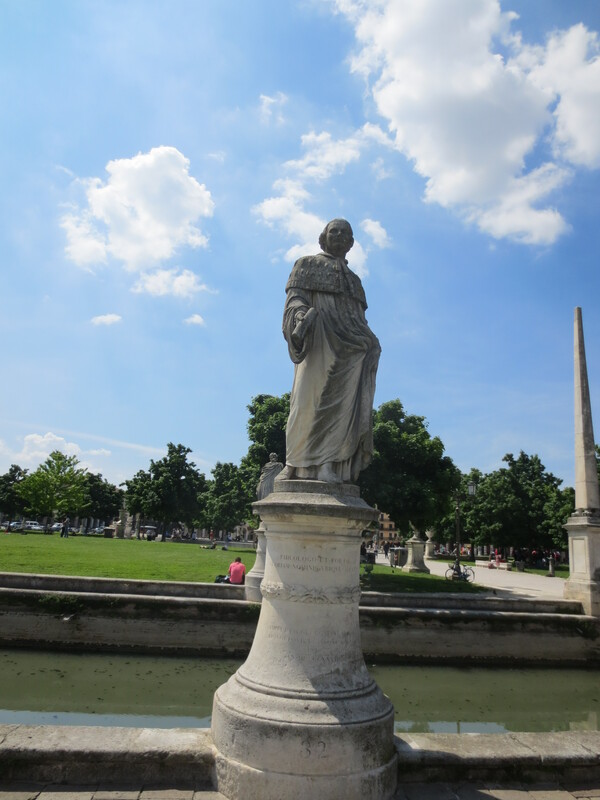 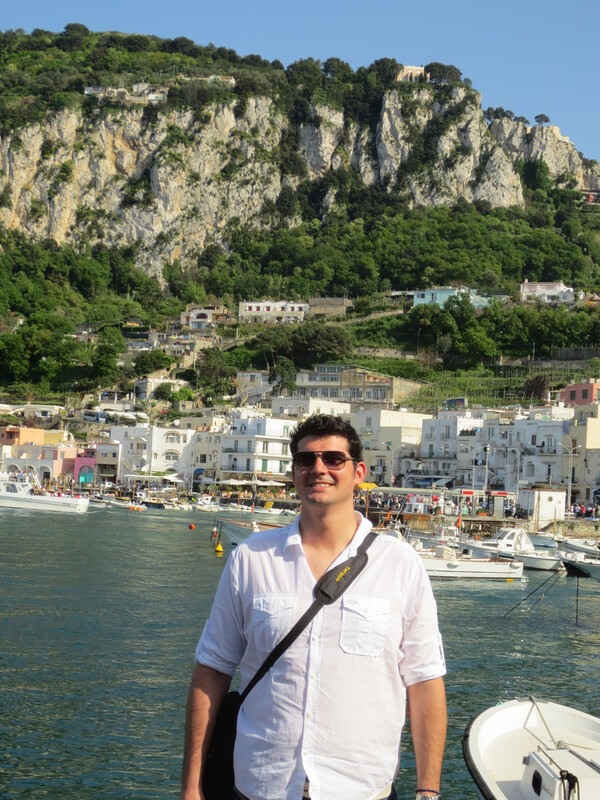 Some of the statues were destroyed by Napoleon. 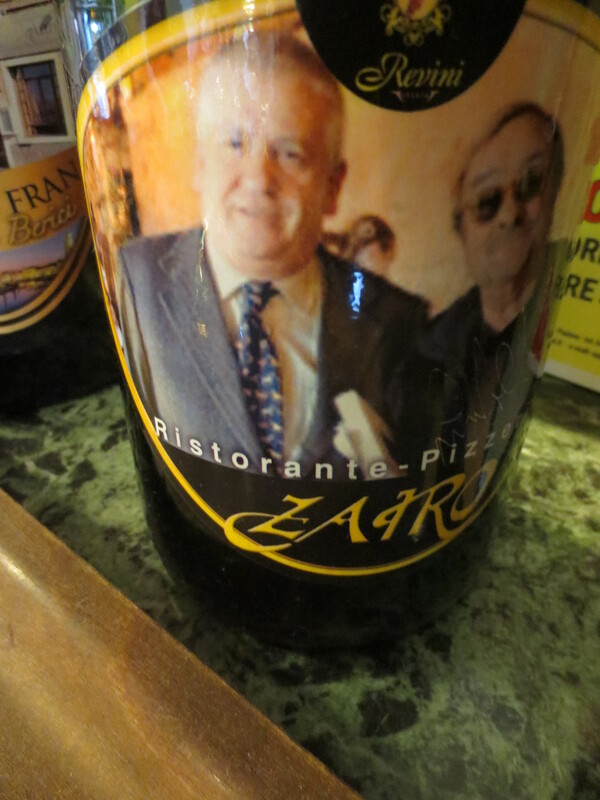 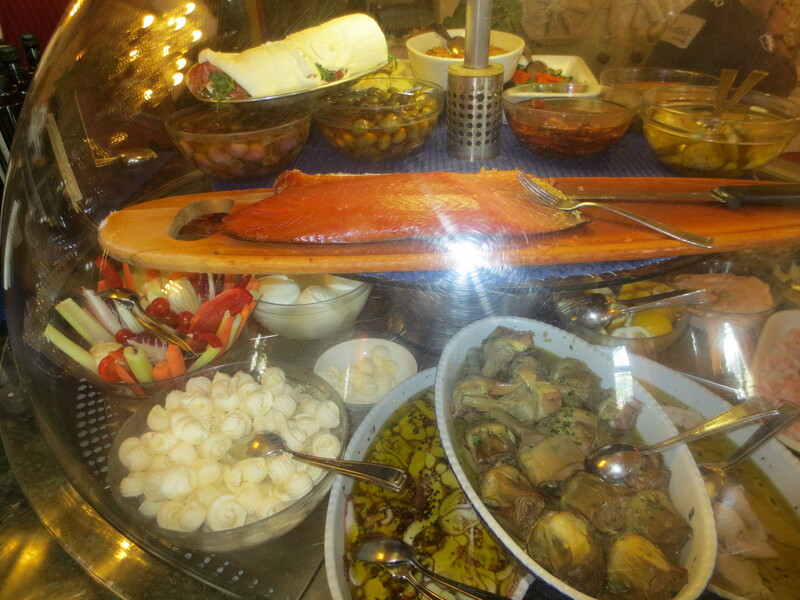 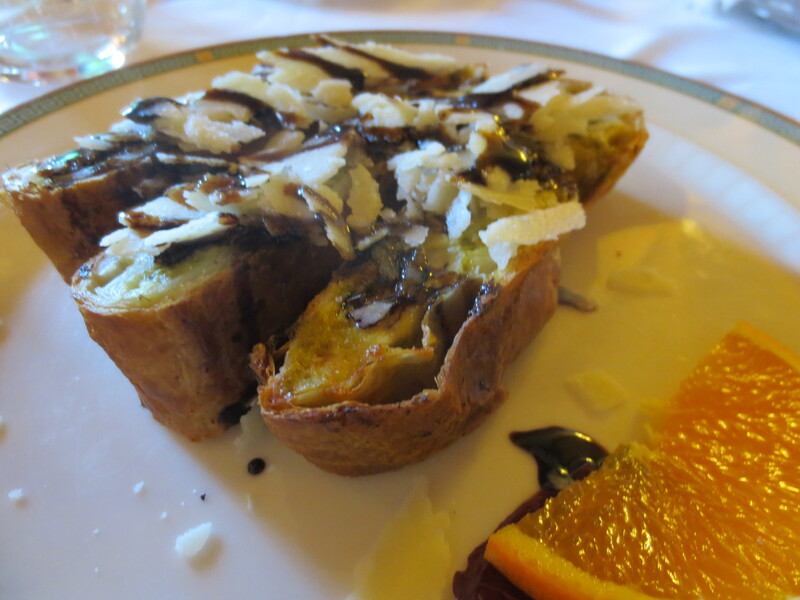 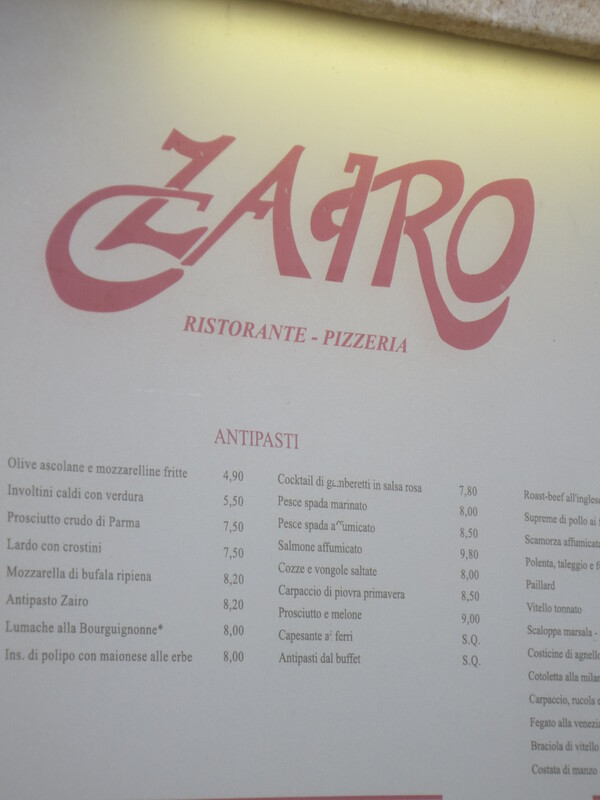 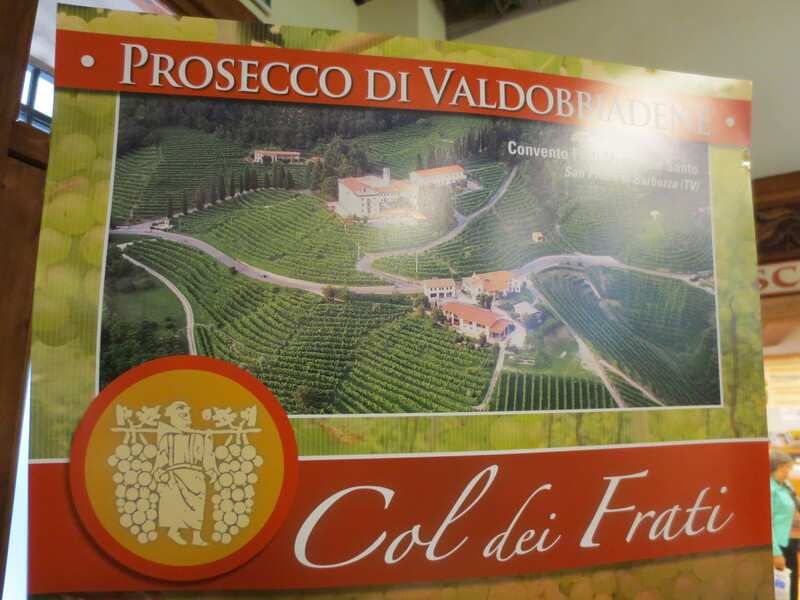 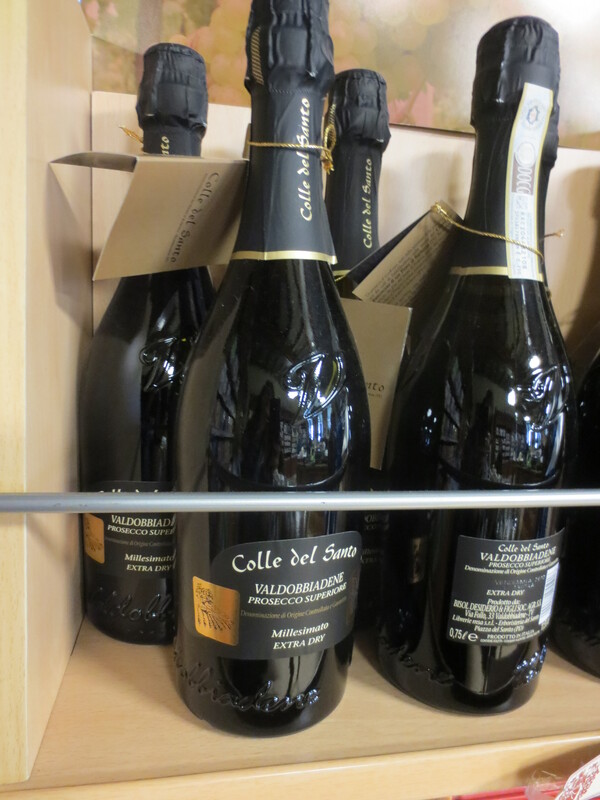 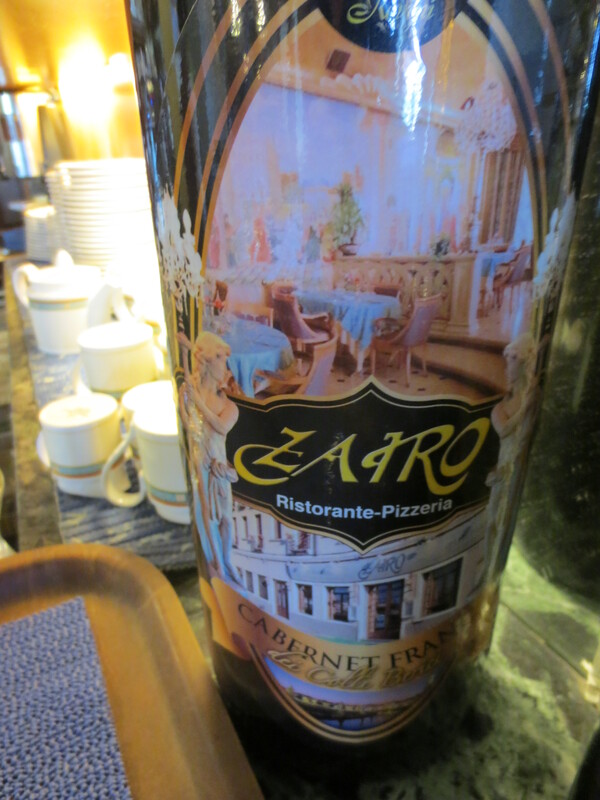 After you visit the Basilica, have lunch and some local Prosecco at Zaaro with an entrance near the Prato della Valle. 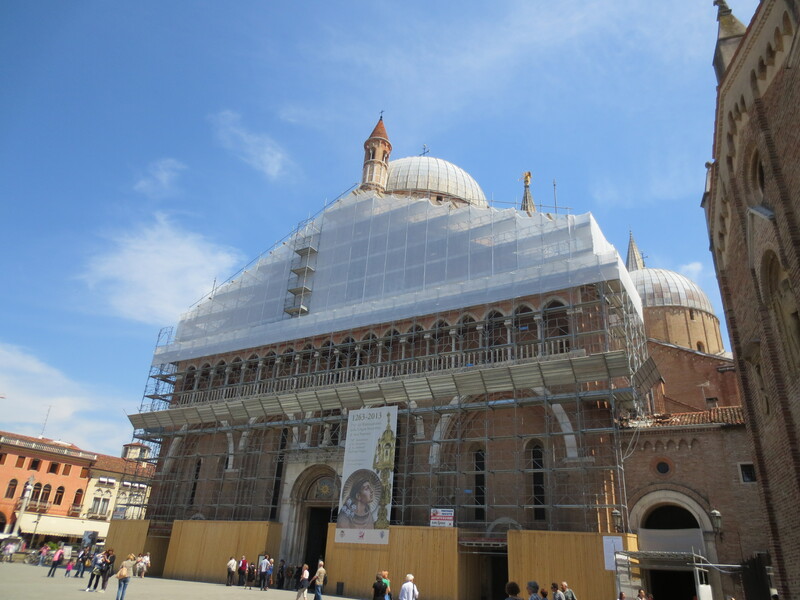 Then make sure you have tickets to see the Scrovengi Chapel with Giotto’s fabulous frescoes. 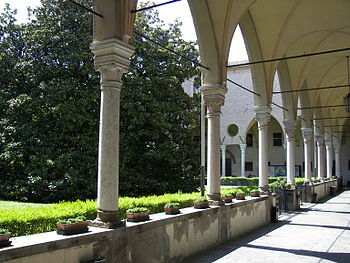 Visit the church of San Gaetano (1574–1586) designed by Vincenzo Scamozzi, with an interesting octagonal plan. 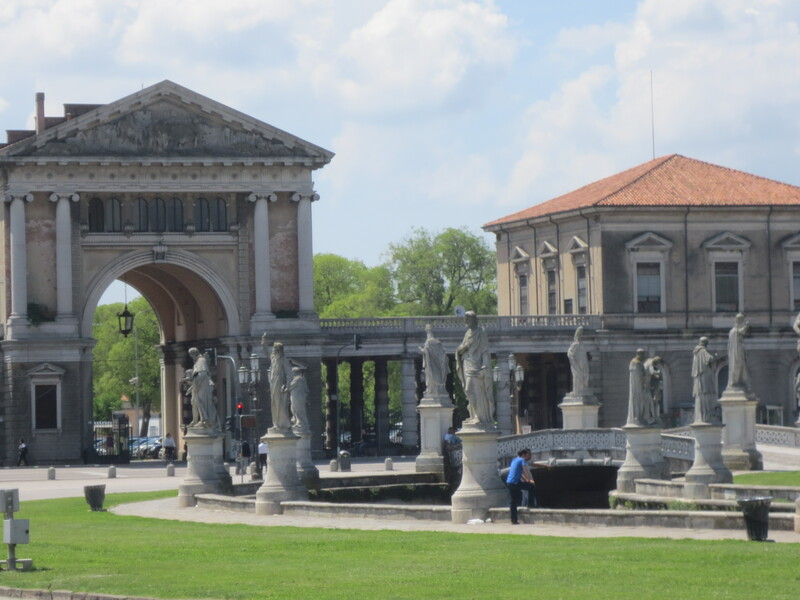 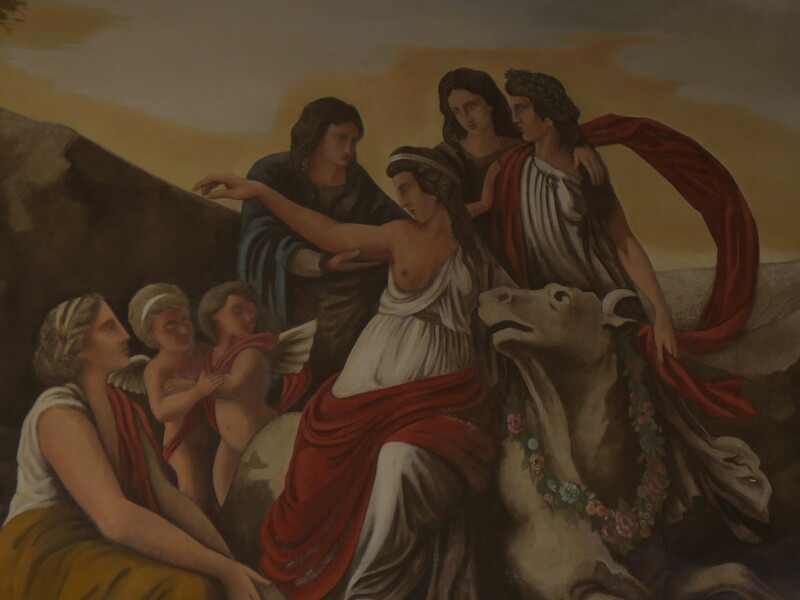 Stop at Caffe Pedrocchi where you can find the Risorgimento museum. 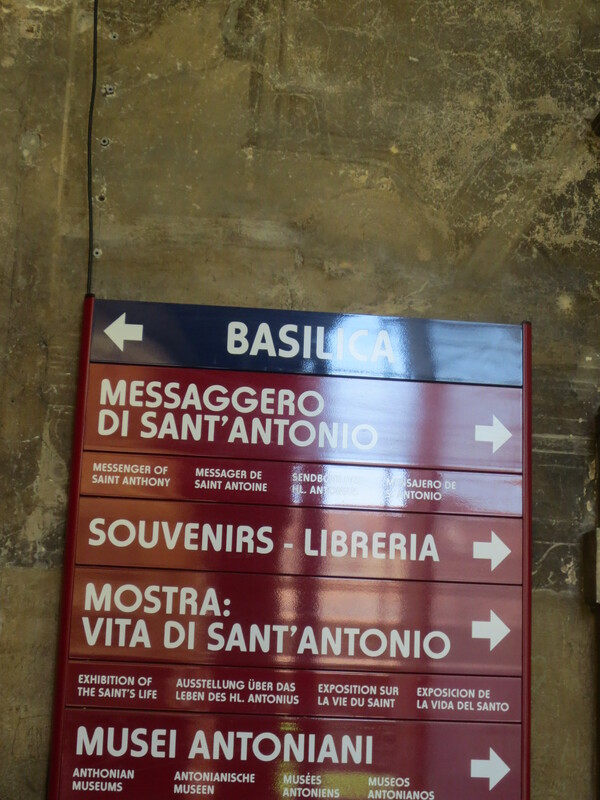 Patron of lost items, Anto! 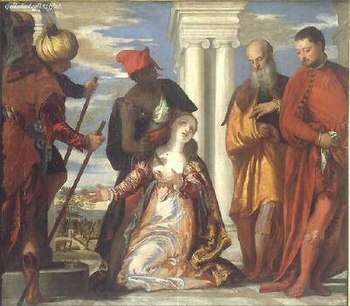 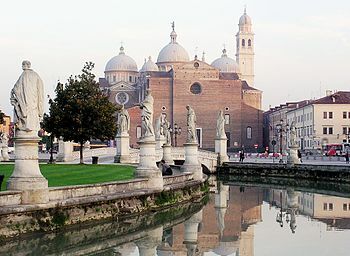 Padua!